Imagine a mix between the all vocals style of Chant 2 and the authentic medieval music of Music from the Time of Richard III, Oh Flanders Free – Music of the Flemish Renaissance, or Last of the Troubadours, that is exactly what this album is. Overall I think is pretty interesting, not a must-have by any means, but for a GM that really likes to have a variety of musical flavors at their fingertips this is markedly different than the typical go-tos for generic medieval fantasy. 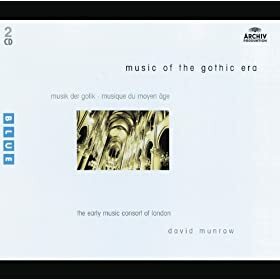 While vocals are certainly the centerpiece of this album, authentic medieval instruments from stringed instruments to bells add an extra dimension to the music that I think really works.